Nashville has been named one of America’s fastest-growing cities year after year. Music City has always been home to nightlife and vibrant southern charm, but in recent years Nashville has attracted big business with a strong workforce, a more developed downtown, award-winning hospitals and universities. All of this attention has caused a population surge — downtown Nashville’s resident population skyrocketed by more than 60 percent in the past five years. Builders are working day in and day out to keep pace with buyer and renter demand. 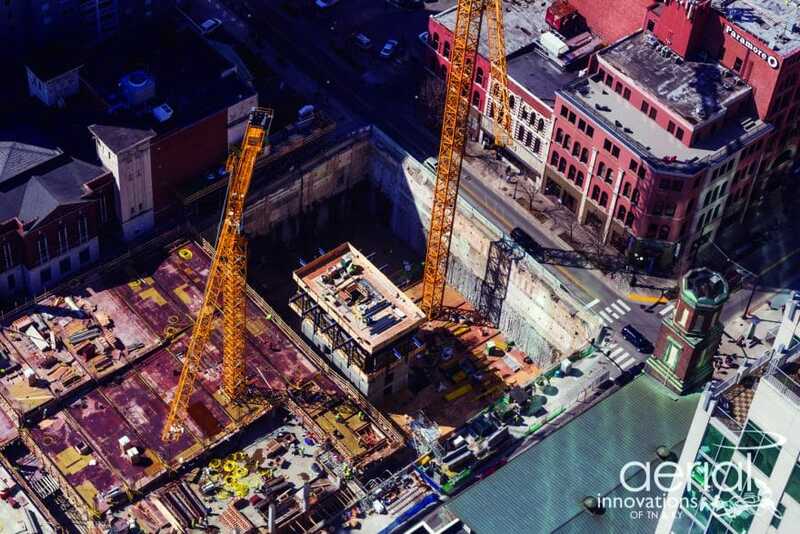 In the heart of downtown Nashville, at the intersection of Church Street and Fifth Avenue North, a 45-story, 524-foot-tall residential high-rise is taking shape. As the city’s second tallest building, 505 will contain 350 apartment units and 200 condo units, At 524 feet and 45 stories, 505 is the tallest building in Tennessee based on occupied floors. Targeting LEED Silver, 505 will be the ultimate in urban living with some of Nashville’s most iconic culture, sports and entertainment venues a short walk away. 505 also offers features including a 33,000-square-foot rooftop amenities deck with a swimming pool, tennis court, basketball court and dog run, and two floors of interior amenity space. The high-rise tower sits atop a six-level underground parking garage. The project has been spearheaded by well-known Nashville developer Tony Giarratana and his firm Giarratana LLC. Much more than just residential real estate, the company plans to devote some 8,000 to 10,000 square feet at the base of the tower to restaurant and retail space. The condo units, located on the top 16 floors, will be accessible by a separate lobby entrance and elevator system. Giarratana is known for other major city developments in downtown Nashville; the company’s portfolio stands at more than 1,790 units, including the 505 tower and a new 33-story apartment tower in SoBro. Tackling construction management and the concrete superstructure of the $169 million-plus job is Archer Western, a member of The Walsh Group, which Giarratana selected in November 2015. “This is our first building project in the Nashville market, but The Walsh Group has various divisions and long-ranging experience as the 13th largest contractor in the U.S.,” says Brian Evans, senior project manager of 505 for Archer Western. There are no signs of slowing in the city and resident population continues to grow, attracting young professionals and big business. With more eyes on Nashville, 505 is shaping the city skyline, showing how Music City does high-rise urban living.